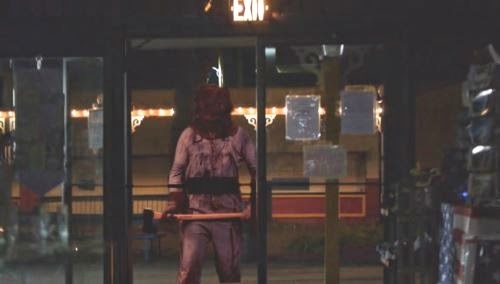 So I'm watching Scream Park, and we get to the part where one of the killbillies has to chop his way into a gift shop. Then this happens. If you're wondering why that looks so strange, not unlike an FMV game from the mid-90s, it's because that's some truly iffy bluescreen you're looking at. 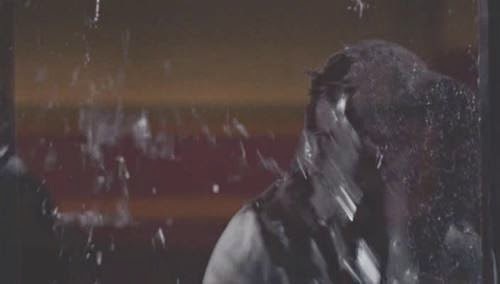 Its seems that a condition placed on the filmmakers was that they not damage the amusement park's property at all, so this scene proved something of a challenge. Also, here's a free tip - if you're framing straight at a set of glass doors like this, if you'd just open the door you want out of the way 90 degrees it would be effectively invisible. By pushing it as far as it would go, you've made it abundantly clear that there's an open door right there on the left of frame, right next to the fake one you've added in post. Apparently lacking the resources to remove the door from its jamb and replace it with a breakable one, they simply stood up a door in front of a greenscreen and filmed the killbilly wrecking it. Which had to be a lot of fun. He even smashes in the push-bar, leaving a big open hole to carefully steo through. But what did he step onto? 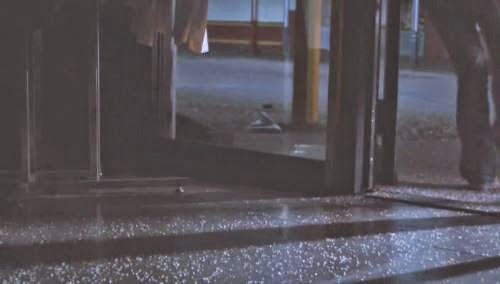 Logically the floor should be covered with broken glass, but since they weren't going to be actually breaking any, they were faced with something of a bind. How to fake broken glass, without resorting to expensive candy glass, which requires purchasing sugar from a grocery story, and then cooking it in an oven! Simple - just move a couple of shelves down and buy some salt! 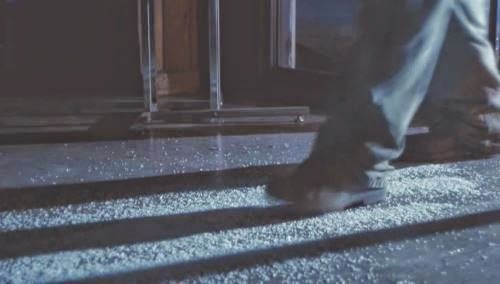 Yup, that's salt tossed on the floor in the hopes that it would resemble broken glass in some way. Suffice to say, those hopes were dashed. And now, let's enjoy the bizarre shot choice of the filmmakers, who elected to film Woman and Boss fleeing the gift shop at one of the few angles that makes it abundantly clear that the two of them are not stepping through a shattered door, but rather running out an open doorway. You can even see the wide-open door in the shot, people. How do you make a mistake like that? Finally, because it makes me smile, here's a video of the actor playing Boss gamely pretending that he's using keys to open a lock that's clearly operated by a knob. Bravo, sir, you did your best! You think? I kind of thought that him being in a completely different resolution than the rest of the image, and with totally different coloured lighting was enough of a tip-off.